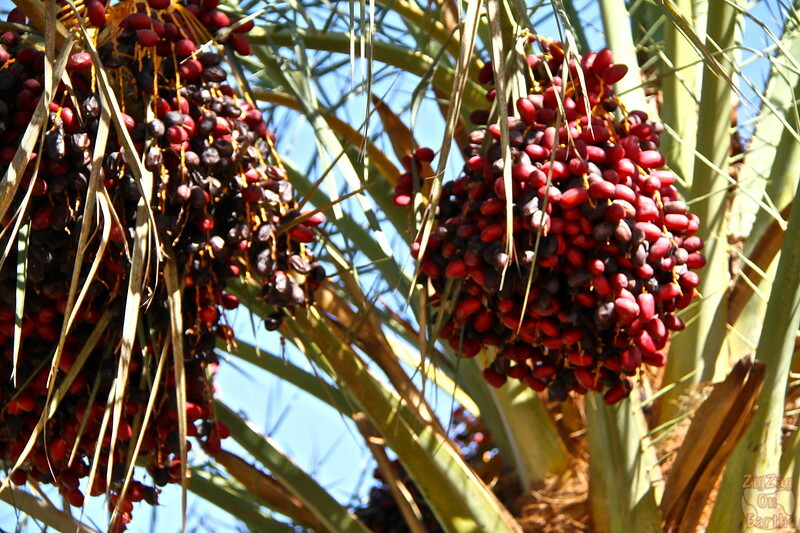 Well, in fact, I found millions of dates in the Draa Valley... the fruit kind I mean. Sorry for the bad joke... And the worst is that I don't like eating dates... 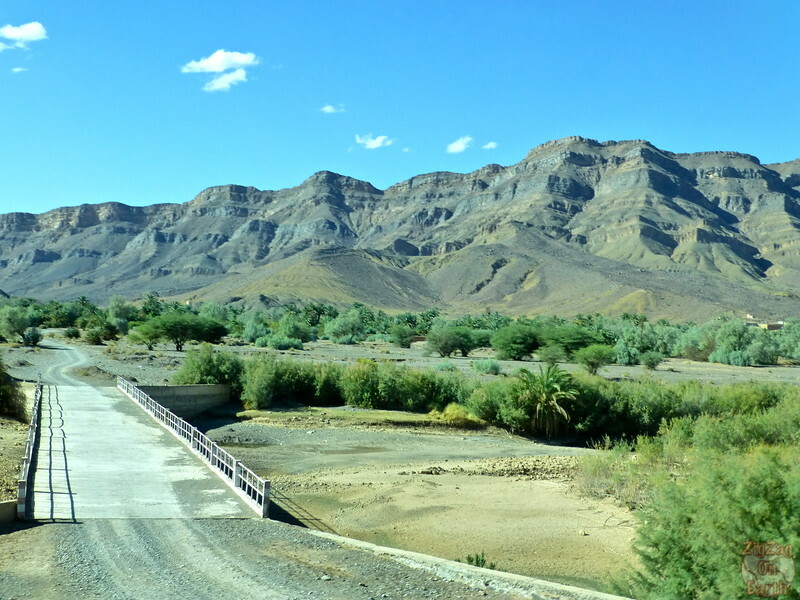 So we just drove through this beautiful valley and here are some pictures. 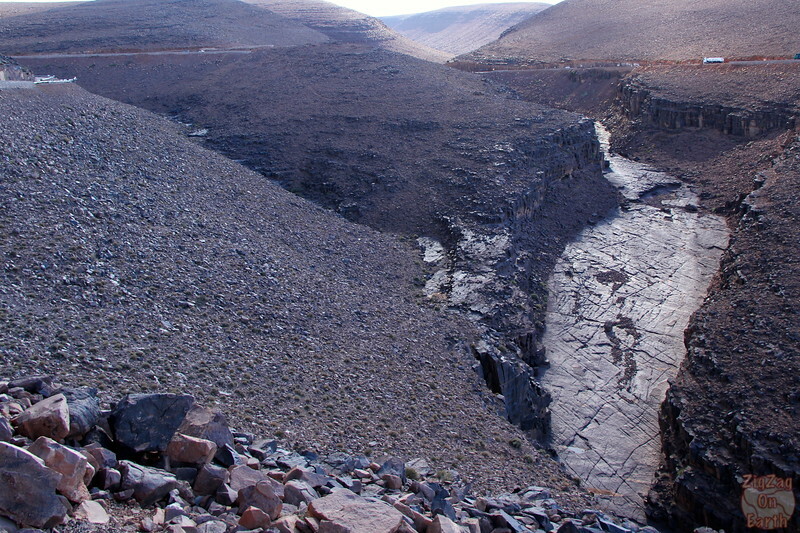 The Drâa valley runs Southeast of Ouarzazate. 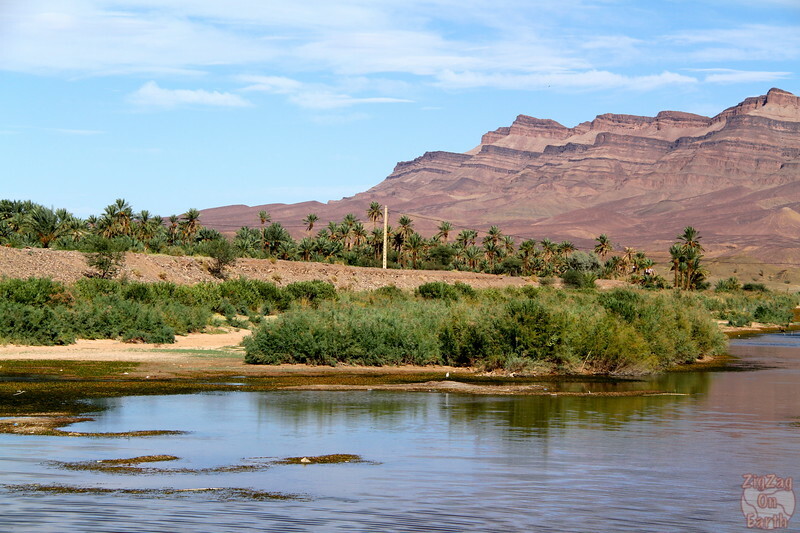 It is home to the Draa river (the longest in Morocco, 1100km) which flows from the High Atlas mountains and emerges over 95km between Agdz and Zagora. 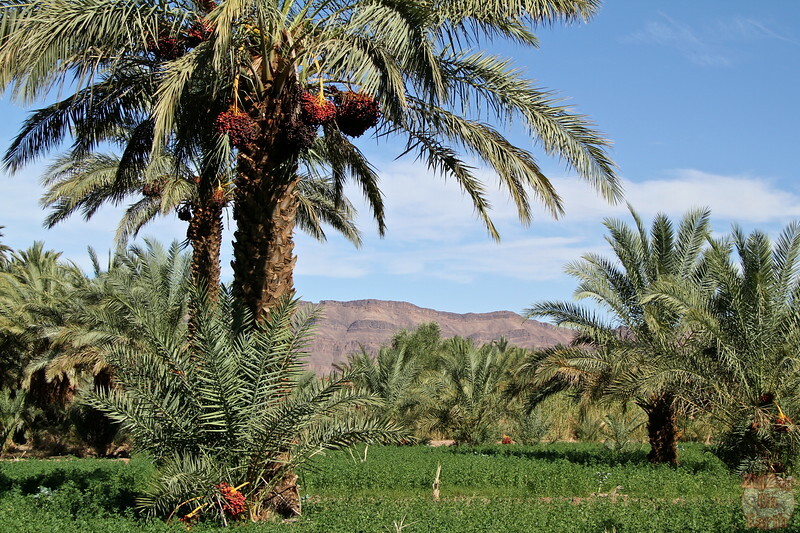 Thanks to the river a lush oasis has formed and it is filled with palm tree plantations. 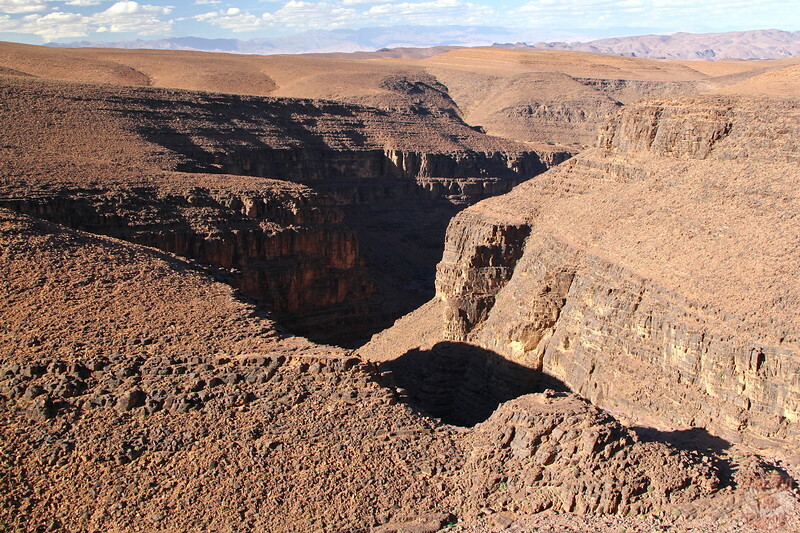 Zagora used to be the end point of the trade caravan from Tombouctou. (which takes 52 days with camel according to a sign there). 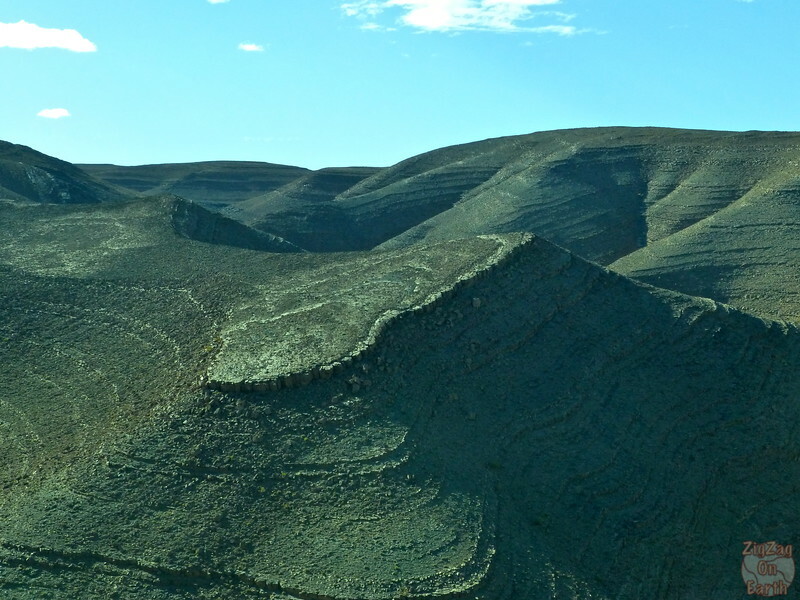 But the valley's history goes back for thousands of years. 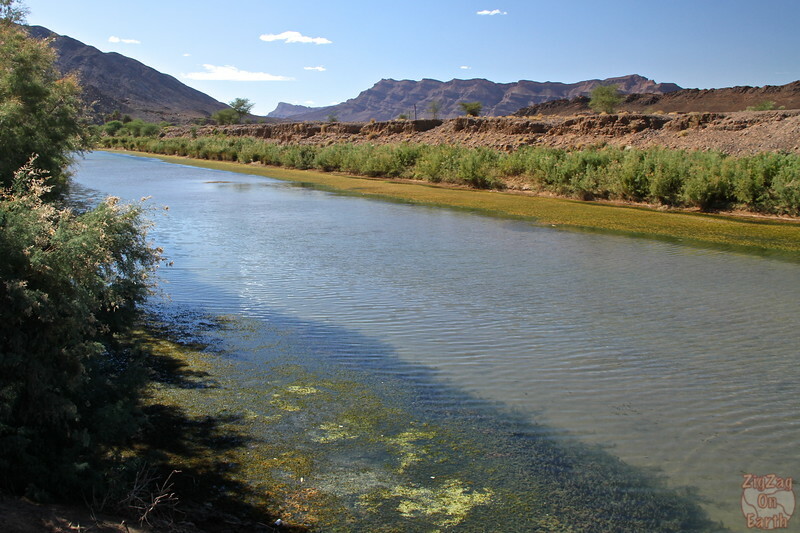 The Draa river is the longest in Morocco. It used to be flowing all along but now many portions are dry. What I loved the most were the layered red-mauve mountains. Their shapes and colors were fascinating. Of course what you will see depends on when you go. The fruits are picked in October​. 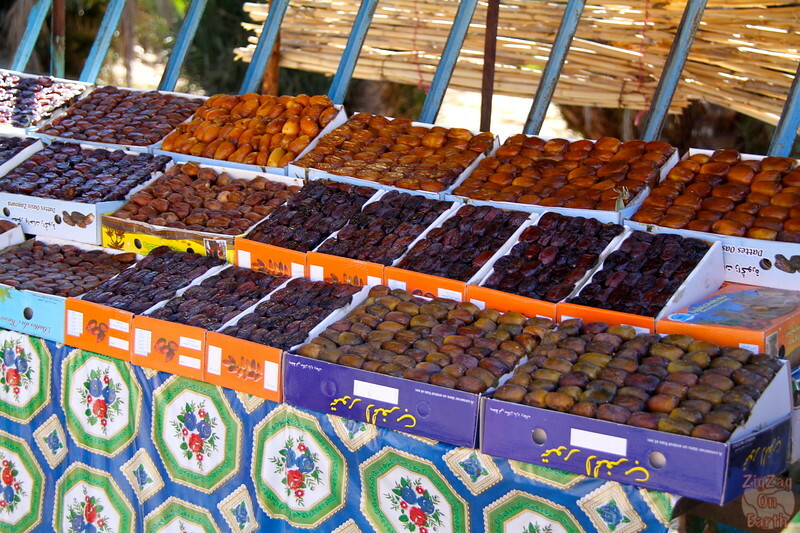 We stopped by some market vendors selling dates. I had no ideas there were some many varieties of dates! 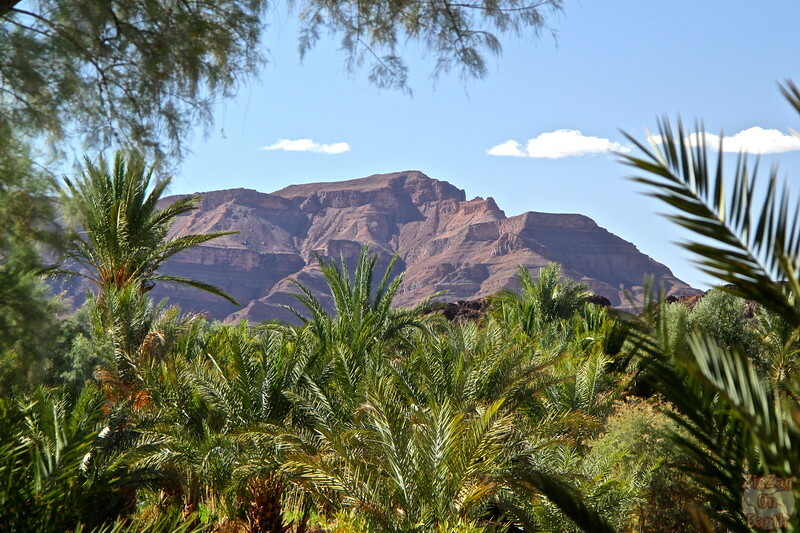 Then we drove to the end of the valley and stopped on our way back to Ouarzazate to see intriguing shapes in the canyon and mountains.